The other night I was watching TV and a commercial for vacationing at San Diego caught my eye. It made me look up from my multi-screen multitasking to sit in awe of the people featured. They were having so much fun. I could not, for the life of me, remember when I had that much fun. The throw your feed up, dive in (literally into the water), giggle it up, don’t worry about the money or life consequences fun. It was a real downer. I’ve had to fight a lot of real downers lately. I have my “stress rash” on my hand that I’m sure is caused by trying to look for a stable and loving (or at least likable) job. There really is nothing more depressing than constantly putting yourself out there and no one even looking up to say “hey.” It’s a real bummer. I’m showing other signs of being sad. For example, I would be really happy to sleep all day. Seriously I could lie down right now and just zone out and sleep for a good 48 hours without any problem. Some of this is due to the fact that I’m just tired but, let’s face it, that’s not really normal. Plus guess what this weekend is? Mother’s day. That stupid holiday with it’s “in your face” celebration via Facebook is usually a killer for me. Not that I don’t want to see the beautiful things your adorable kids have done for you on your special day … I want YOU to be happy but there is something about Facebook postings that is like a dagger with an extra twisty part stabbing into your heart. Stupid depressing social media. A friend sent it to me today. Isn’t it great? I think everyone should watch it. That poor gazelle is trying so hard and thinks she is being helpful but she isn’t. She’s the Facebook of animals. If there is a Social Media gazelle then there has to be a social media bear right? Guess what? I found it!!!! “Happier is a life appreciation platform. 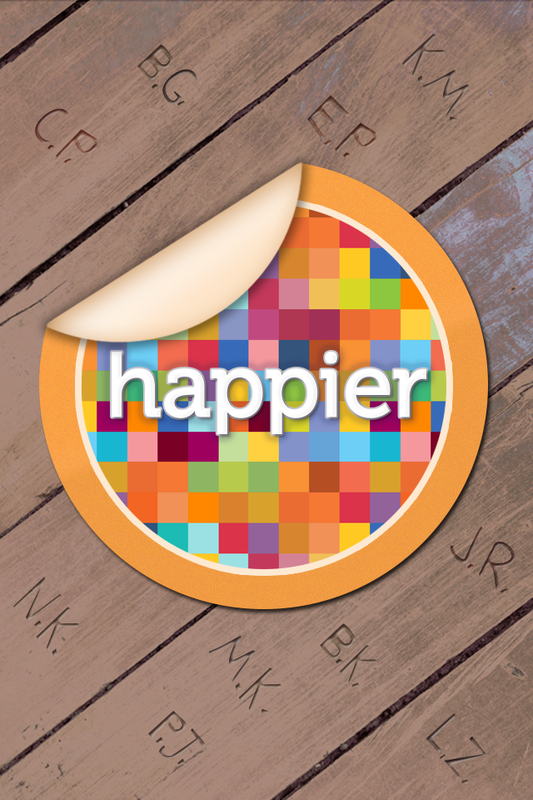 We created Happier with one simple mission in mind: to help you be happier in your everyday life. One of today’s happy moments. After downloading the app you add a short bio and then start sharing the things that make you “happy” during your normal day. My first post was about my clean sheets. My second was about my giant diet coke with lots of ice. Little things in my day that I normally cruise by that, because I was thinking about it, I stopped to say to myself, “hey self … this makes you smile.” You can follow people and if their happy moment makes you smile you can give them a smiley face (like the Happy thumbs up). The app gives you little daily happy tips and when you post happy thoughts and/or make it to a happy “milestone” you get a fun confetti party on your phone. Afraid you will forget to use it and be happy? No worries you can set a happy alarm for up to 3 times a day to remind yourself to pause and reflect on what has given you a giggle. According to that science the CEO studied, focusing on little moments during your day that make you happy actually helps you feel better overall AND helps you sleep better (not that I need help sleeping). Makes sense to me! Moment from someone I follow. When I got up this morning I decided I was going to FINALLY go to Sizzler for lunch. I haven’t been to Sizzler in over 20 years. There is one by my house and every time I pass it I think, “I want that salad bar.” I was planning to make it one of my “happy” moments of my day. 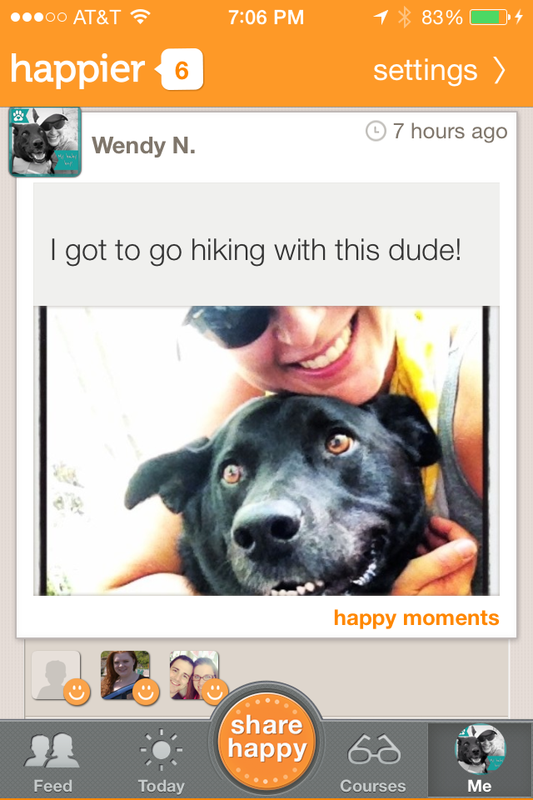 By the time I got to the restaurant I had already posted 3 happy moments on the app and didn’t have to add that one. I didn’t want to overwhelm my followers with the freakishly good day I was having. Man that salad bar was delish. I ate my weight in salad. THEN I got my car washed and I realized THAT makes me happy too!!!! I’M THE FRICKIN’ HAPPIEST PERSON YOU KNOW … WHO WOULD HAVE GUESSED THAT????? Apparently I need just need a little guidance and a nudge now and then to remember all the things that happen daily in my life that make me smile, giggle, and genuinely make me happy. 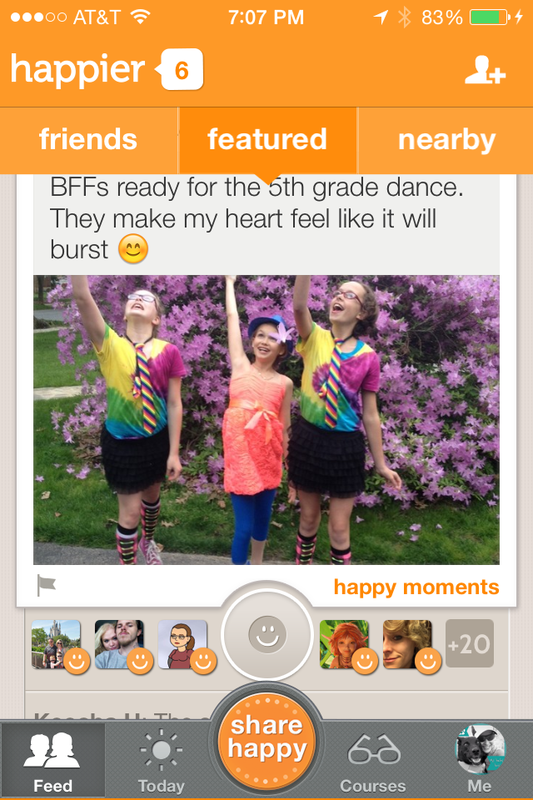 Download the app … imagine how happy you really are … you don’t even know!